Omaha, Neb. - In 1921 the International Motor Contest Association (IMCA) started racing Big Cars at the Florida State Fairgrounds in Tampa during the Florida State Fair. That tradition of starting the season during the Florida State Fair would continue through the 1975 season. 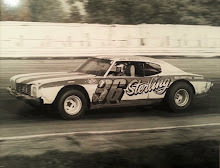 The February races at the fair would come to be known as the “Winternationals.” The races came to be promoted by Al Sweeney and his National Speedways Inc., one of two organizations that promoted IMCA races. 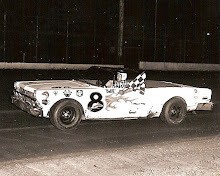 Entering the 1957 season, veteran Bobby Grim of Indianapolis, Indiana had won the last two IMCA Big Car championships behind the wheel of Hector Honore’s soon to be legendary Black Deuce. 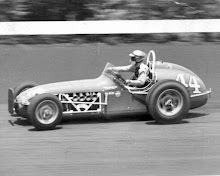 At the 1957 Florida State Fair races another Indianapolis native, Don Carr had won two of the four races, finished second in two others and had finished third in Big Car points. Carr had now moved his residency to St. Petersburg, Florida and would be behind the wheel of the Peter Mocca #C2 or Circle Deuce. The two drivers would once again dominate the Florida State Fair races in 1958. The 1958 IMCA racing season kicked off at the Florida State Fairgrounds on February 5. Kirkwood, Missouri’s Eddie Loetscher behind the wheel of the Art Alexander Offy set fast time of 26.48 seconds with Carr right behind at 26.75 seconds. The three heats were won by Ken Rubright in the Heath Chevy, Chuck Marshall in the Helm Offy and Carr in the Mocca Offy. Rubright turned the 7 laps in 3 minutes 19.73 seconds which would be the fastest heat race of the four race meet. Bobby Grim won the match race over Carr and Loetscher and Bob Tattersall took the consy. In the 15 lap feature, Don Carr put on a driving exhibition lapping all but four of the sixteen starters in the feature event. Bobby Grim and Eddie Loetscher put on a battle for second spot with Grim taking the honors and Loetscher settling for third. Buzz Barton and Jerry Blundy rounded out the top 5. Three days later on February 8, they held round two and the results would turn out the same, in fact the top 3 in the feature would be identical to the first show. Buzz Barton, 1957 point runner-up, Jack Packard and Jerry Kemp would take home heat wins. Bobby Grim would once again take the match race and Carr would make the 20 lap feature by winning the consolation race. Once again, Carr had the Peter Mocca Circle Deuce humming as he dominated the 20 lap feature. Grim and Loetscher would once again finish second and third with Jim Hurtubise fourth and Jerry Blundy fifth. Round three of the Florida State Fair races were scheduled for February 11, but Mother Nature thought differently and the rains came. Al Sweeney and his group rescheduled the races for Valentine’s Day, February 14. Valentine’s Day turned out to be an unusually chilly day and that certainly dampened the size of the crowd but it did not dampen the spirits of one, Bobby Grim. Grim was determined to avenge his two losses to Carr and he and the Honore Offy proved that they were up to the task. Bob Tattersall in the Leo Melcher Chevy, Buzz Barton in the Buzz Barton Offy and Jim Packard in the Ed Lowther Offy won the heats. Jerry Blundy in the Lyle Hyneman Offy won the match race and Eddie Loetscher had to settle for a win in the consolation race. In the 20 lap feature, Don Carr grabbed the early lead but Bobby Grim was on a mission and took over the point before the end of the first lap. Grim would sail on to the win in 9 minutes 51.54 seconds while Carr would fade back in the field. 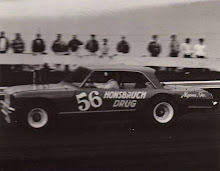 Johnny Pouelsen in the C. H. Perdue Offy would get by Carr on lap 15 and the Jim Hurtubuse would push the Bill Leach Chevy by Carr on lap 19. Pouelsen would finish second, Hurtubuse third; Carr would wind up fourth with Jerry Blundy finishing fifth for the third straight time. 4,500 fans would turn out for the IMCA finale at the Florida State Fair on Saturday, February 15. They would witness a battle between a home-towner and a transplanted Floridian. Heats would go to Jim Packard, Buzz Barton and Bob Tattersall. Grim won the match race and Tampa’s Rex Records won the consolation race in the Sherk Offy. Thoughts of a Carr-Grim battle for the win went away in the first lap of the feature when Grim spun out in turn one of the first lap. This left Tampa native Buzz Barton to battle with Carr the transplanted Floridian. Carr would lead throughout the 25 lap feature with the exception of lap 23 when Barton banged wheels with Carr and grabbed the lead. Carr however closed the gap and regained the point on the next lap when Barton got in the loose dirt. Carr would go on to grab the win followed by Barton, Hurtubuse, Blundy and Tattersall. 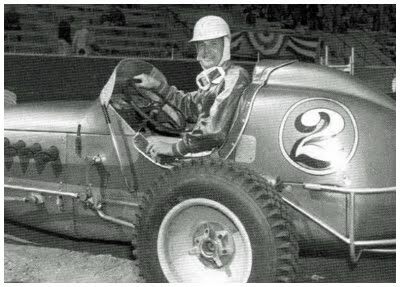 Don Carr and the Pete Mocca Offy had dominated the Florida State Fair races. Carr would leave Tampa with a solid points lead over second place Grim, Carr with 440 points and Grim with 340 points. However, thoughts of Carr unseating Grim for the IMCA championship would quickly fade once action resumed in May. After a win by Vern Chamberlain at Huron, South Dakota on May 25, Bobby Grim and Hector Honore would have the Black Deuce humming and they would win the next six races in a row and go on to win their third straight IMCA Championship. 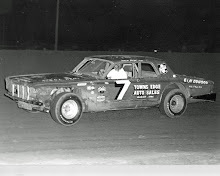 Don Carr would use his great showing at the Florida State Fair as a springboard to finishing a distant second in points to Grim.